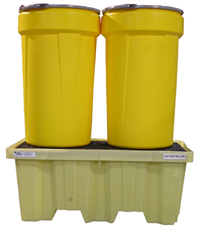 Use a Tarp for the Nestable 2-Drum Poly-SpillPallet to store outside. Use this tarp when you need to store your 2-Drum Poly-SpillPallet outside. 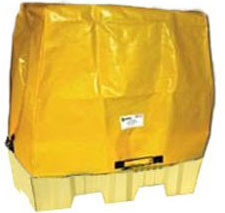 Tarps provide protection from the elements for your drums and the pallet itself. They are durable, chemically resistant, and custom fit to the sump to prevent rainwater intrusion that can cost you time and money.